Normally my sister and I have a more concrete plan for our holiday dinner tables... My mom calls us "table divas" if that gives you any idea of how seriously we take our "tablescapes." However, we've both been really busy, so we decided to wing it (I know, crazy right?!). We mixed and matched some napkins, and I arranged some grocery store bouquets into a vase. 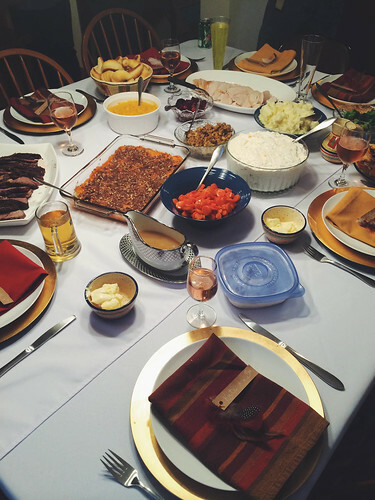 It was fun, and a relief to see that we were able to pull together something simple and easy, because really, the focus should be on the food and people - all the the things we are truly thankful for anyways! And what a great family dinner! Delicious food and funny conversation! I laughed so hard I was practically crying a couple of times. By the end of the dinner several of us were wearing our feathers. Putting the feathers in my hair immediately brought me back to elementary school, second grade to be precise, where I chose to be an "Indian" over a "pilgrim." We had to make either a feather headband or a pilgrim's hat, and I remember feeling really weird about the whole situation. I'm sure we hadn't discussed the harsh and disgusting reality of the fate of the Native Americans, but I knew there had to be some shady business that was being left out of the story. Obviously something unfair and awful had happened, so choosing the feather headband was a no-brainer, a personal incontrovertible necessity. As I walked to our special Thanksgiving school lunch with my fellow Indians and pilgrims, I think my head bore more than just the weight of that paper feather headband. But anyways, where was I going with this? 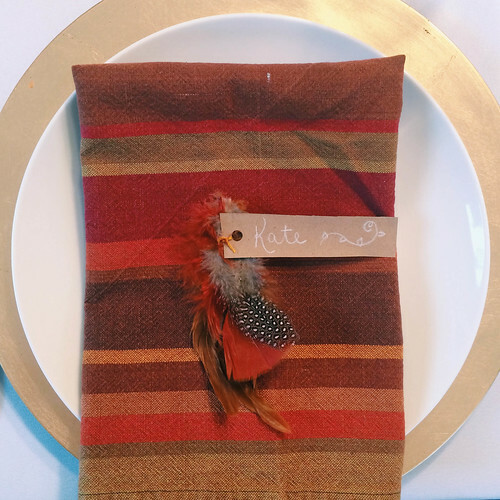 Oh yes, the inadvertent symbolism of the feathers on our Thanksgiving table made me smile. 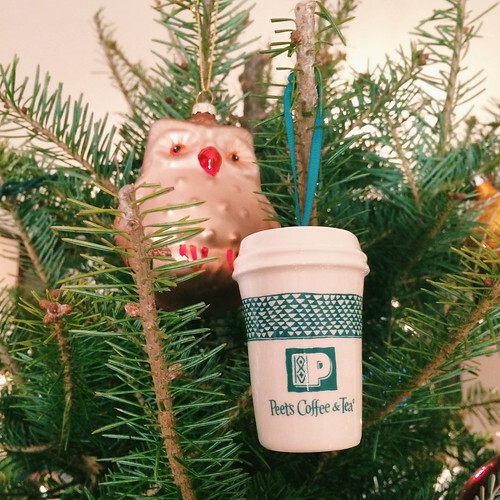 A tree full of memories is certainly something to smile about it! So this post became a bit more verbose than intended. I apologize! Perhaps I was subconsciously trying to make up for my unwanted absence from the blog lately. I just want you to know that I am so thankful to have all of you lovely readers to share in my crafty love and to put up with my occasional ramblings! I hope you are all doing well and have plenty to smile about and be thankful for! 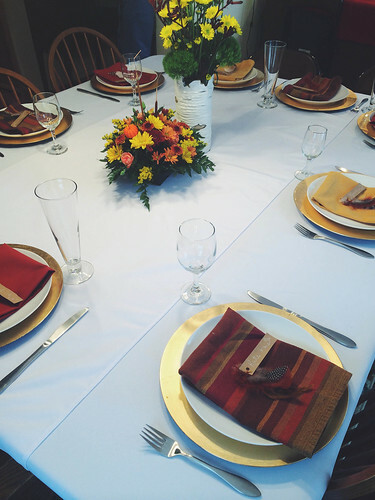 What a wonderful time you had decorating Thanksgiving and what a classy table it made too! I love the feathers and the symbolism. 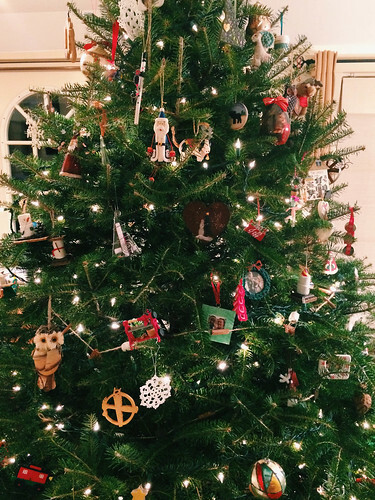 The best Christmas trees are full of childhood memories! I can see some crochet work too and the owl!